Sharpe DVD complete box set contains all 14 of the full-length television films based on the novels by Bernard Cornwell on 8 dvd's. 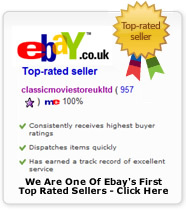 Originally broadcast between 1993 and 1997 on 14 DVD's. DELIVERED FREE IN THE UK. 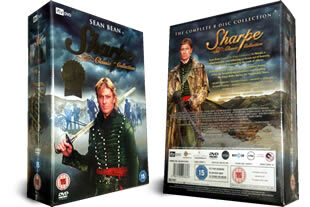 Starring Sean Bean this complete set of the Sharpe TV movies will appeal to many people. Sean Bean fans, historical military fiction fans, Bernard Cornwell fans, action fans and even early 1800's fans! If you're already a Sharpe fan and don't own any of the episodes on DVD yet, then buy this set whilst it is on promotion.